Are you ready to stop smoking forever? Would you like to stop smoking without any of the usual withdrawal symptoms? If so, then we may have the answer you need to enable you to achieve your goal. It’s been documented that hypnosis is the number one way to let go of the habit once and for all. A stop smoking with hypnosis appointment lasts for two and a half hours. During this time you will learn how to become a confirmed non-smoker. The session will culminate with a deeply relaxing and mind changing hypnosis session. During your session we use all the latest modern clinical hypnosis methods coupled with NLP and EFT techniques. Stop smoking hypnosis Chichester includes personally tailored hypnotic and post hypnotic suggestions carefully designed to change you from being a smoker to a non- smoker and keep you that way for the rest of your life. Stopping smoking with hypnosis means you can stop without all the usual and often expected withdrawal symptoms. There will also be no weight gain as this is built into the hypnosis for those who need and want it. With no withdrawal symptoms, no cravings and no weight gain, stop smoking hypnosis is the easiest and most successful way to stop smoking. Having been a smoker I understand how hard it is to stop smoking using conventional methods of willpower, denial or substitution. I tried them all and failed every time. It wasn’t until I used the power of the mind that success happened for me. Stop smoking hypnosis therapy is conducted over one session. The normal cost for this treatment is £187 pounds. However when booked and paid for on-line there is a discount of £40 bringing the therapy down to only £147. Yes, for a limited time stop smoking hypnosis Chichester is only charging £147 so take advantage of this special offer now. Call now to make your appointment. 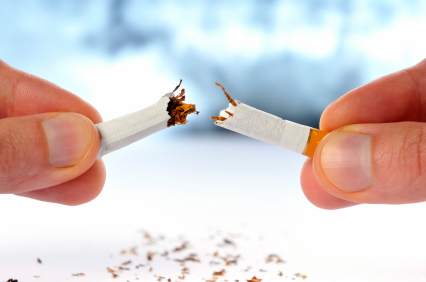 Stop smoking hypnosis Chichester can help you to re-gain your health and your life. Immediately you stop smoking using stop smoking hypnosis your body begins to heal itself. Hypnotherapy is natural, relaxing, drug free and effective. It’s amazing, I don’t even think about it any more. The weekend I stopped I took my last packet with me to work intending to give them to someone. That weekend all sorts of things went wrong. At times it was murder and mayhem but I didn’t even think of having a cigarette. When I got home I realised I’d had the cigs in my bag all weekend and I hadn’t even thought about them never mind given them away. The last times I tried to stop I didn’t want other people around me to smoke in case I was tempted but now I am completely tolerant and just like you said I would, when I see others smoking I just feel sorry for them now.